Bank of England says approvals in August were at lowest level since November 2014, but unsecured borrowing continues to rise. The number of mortgages being approved fell in August, figures show, in the latest sign that the housing market has cooled since the Brexit vote. The Bank of England said mortgage approvals, seen by economists as one of the early indicators of housing market activity, had dropped to the lowest level since November 2014. There were 60,058 mortgages approved for house purchase last month, down from 60,925 in July and slightly fewer than the 60,150 forecast by economists in a Reuters poll. However, the figures also showed unsecured borrowing by consumers, such as on credit cards, continuing to grow, echoing other signs that British households have so far largely shrugged off the EU referendum result and not allowed any worries they have about the economy to curb their spending. Consumer credit rose by £1.57bn in August, beating economists’ expectations of a £1.4bn increase. However, he pointed to other indicators, which suggest that confidence is returning to the housing market after an initial post-Brexit vote wobble. The latest monthly report from the Royal Institution of Chartered Surveyors showed that for the first time since April, surveyors expect house prices to increase over the next three months. Martin Beck, a senior economic adviser to the EY Item Club, said the decrease in approvals in August would not have been entirely down to the Brexit vote. “Stripping out the extent to which this is a consequence of post-EU referendum uncertainty, as opposed to other factors, including tax rises on buy-to-let properties earlier this year and ever more expensive housing, is problematic,” he said. 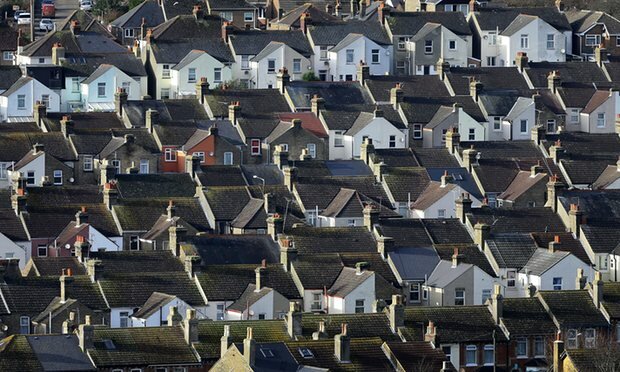 The Bank’s data chimed with figures from the British Bankers’ Association earlier this week, which showed that the number of homebuyer mortgages approved by UK banks was down by 20% year on year in August, but consumers’ appetite for unsecured borrowing remained strong. Howard Archer, an economist at consultancy IHS Global Insight, said the latest figures showed that “consumers were clearly prepared to continue borrowing and spending in August,” but warned that households may soon begin to feel the pressure from rising inflation and the jobs market weakening.